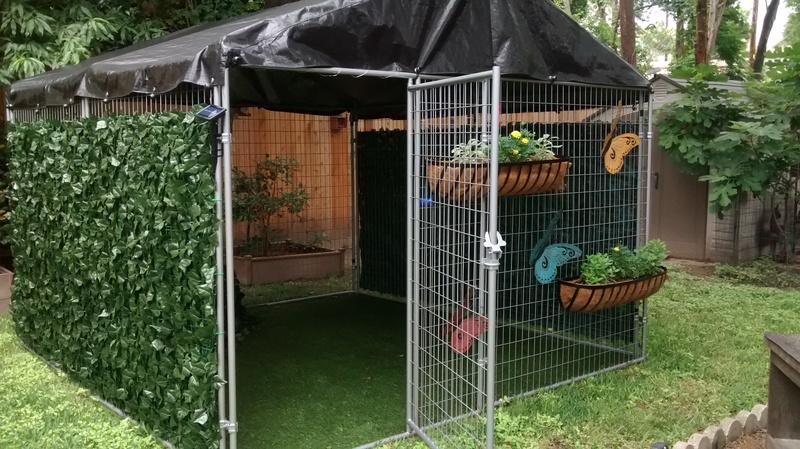 Our new Love & Cuddles sheltered, enclosed play area for dogs. Also, a meet and greet area for adoptions. Love & Cuddles Pet Respite Care services are demand. Therefore, we need to offer our services to new agencies slowly, as we acquire more foster homes. Presently, we work exclusively with the Meals on Wheels of Central Texas PALS program. They refer clients and select local resources when a situation occurs that puts their clients pets in jeopardy. All clients whose pets need Love & Cuddles Pet Respite Care have been prescreened for need since they are already a part of that social service program. Here are several examples of what we’ve been able to do thanks to The Binky Foundation First Steps grant. • A disabled man had a toe amputated and as a result, he also needed rehab care. This man has cognitive and physical challenges. His kitty is a very important part of his life. She was able to move to the Love & Cuddles program when funds for boarding ran out. 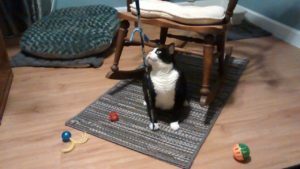 Without the additional accommodations we added due to the grant, we would not have been able to take in another kitty. • In another case, a lady died unexpectedly. Her family was not prepared to take her pets since they all lived out of town or out of state. Unfortunately, the old dog was in extremely poor health that was no longer treatable and had to be euthanized. The kitty is a cute adult tuxedo with huge eyes. The family wanted to do the right thing by providing a home for her, but they needed time to make arrangements. This kitty was also terribly traumatized and not doing well in boarding. She needed special care and recovery time. Again, the extra space provided by the condos the grant purchased gave us the extra capacity to allow this kitty to stay longer than most respite care clients, which means her family can take her home instead of sending her to a shelter and adding to the emotional upset of the other losses. • A very old dog with severely limited vision and hearing was traumatized by his owner being hospitalized unexpectedly. Because we had a safe, enclosed, yet limited, outside exercise area purchased by the grant, this little fellow was able to stay with a real family, with someone who would sleep on the floor with him and offer him special care. He also had an undiagnosed heart condition that was discovered during his stay. This old fellow received vet care and follow-up treatment was also in place when he returned home. He was so traumatized by the separation that the vet said he may not have survived without hand feeding and a person at his side every step of the way. 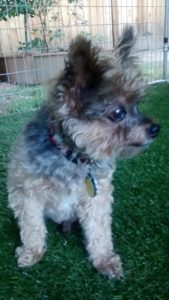 Many seniors’ animals are also senior and do not handle shelter and kennel environments well. It can truly jeopardize the animals’ lives in some cases. These animals were able to go home to loving owners due to the Love & Cuddles Pet Respite Care program and the facilities created by the First Steps grant. Local shelters were spared taking on animals that have a home, allowing those resources to go to truly homeless animals. Owners were spared the trauma and guilt of losing the animals permanently. This makes a huge impact on the owners’ recovery physically and emotionally. We expect many more wonderful success stories. This is just an example of the impact of one grant since we received the check in April. In addition, the grant and the resulting work we did played a part in another grant that provided professional logo design and branding for the Love & Cuddles Pet Respite Care program. Branding the program with professional assistance will help us grow and reach more people in our community. Please share our story. We need many more foster homes in the Austin, Texas area. 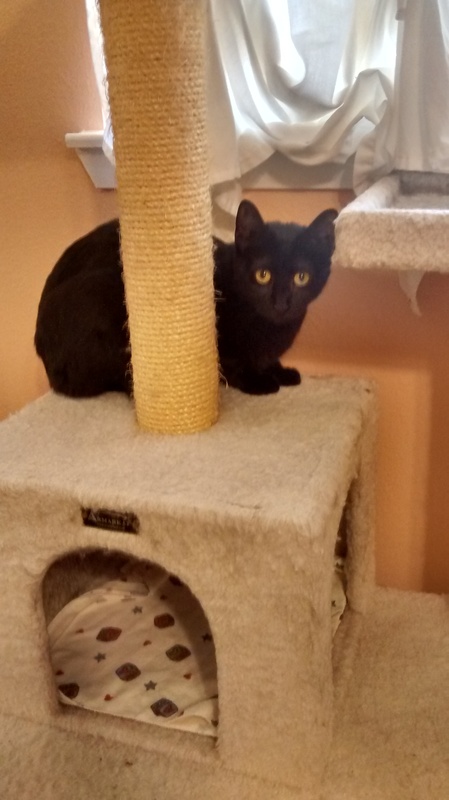 Click on our links for more information or a Pet Respite Care Application. Baby went home because Love & Cuddles took care of her while her owner had surgery. Another very special pet respite care guest. One of our most senior little respite care guests. What Do We Do? We save lives.